Join us as we take a journey along the Brexit timeline, highlighting the key Brexit dates and events that have impacted the pound the most. Cast your mind back to July 2015 – these were halcyon days for the pound, which hit a seven and a half year high (€1.44) against the single currency. 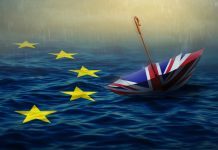 Holidaymakers and overseas property buyers were left rubbing their hands together, blissfully unaware that the Brexit vote was less than a year away. Back then our departure from the EU was still just a pipe dream for Eurosceptics, and the B-word hadn’t infiltrated the common vernacular. Fast-forward seven months and Brexit was all anyone was talking about after David Cameron finally fulfilled his promise – first made in 2013 – to call an EU referendum. This triggered a turbulent period for the pound, starting with the Brexit campaign which culminated in the surprise Leave vote, through to the ongoing negotiation process. Below we highlight key Brexit dates and events. 19 February: David Cameron addresses the waiting media outside 10 Downing Street, to inform the nation that the EU referendum will take place on 23 June. Before confirming he will be campaigning to remain in a reformed EU. 20 February: London Mayor Boris Johnson surprisingly throws his not inconsiderable weight behind the Leave campaign, dealing a huge blow to Mr Cameron. The referendum is no longer a one-horse race and the pound begins to feel the effects of Brexit. 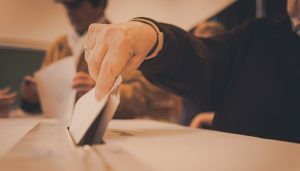 February-June: Over the following four months, contrasting opinion polls send the pound on a rollercoaster ride – further confirmation that the vote could go either way. 23 June: The historic day finally arrives. 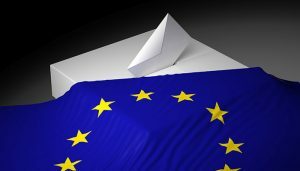 The Great British public head to the ballot box to decide the UK’s future membership of the European Union, after 43 years in the bloc. With the result still too close to call following a hard-fought campaign, the pound’s fortunes are on a knife edge. 24 June: Those who assumed prudence and risk aversion would generate a last-minute swing in favour of Remain are proved wrong. Not least David Cameron, who immediately resigns as Prime Minister after it’s revealed the British electorate has voted to back Brexit by 52% to 48%. The pound slumps to a 31-year low against the dollar. By mid- August, it will slip to a three year low against the euro (€1.15) as political and economic uncertainty intensifies. 13 July: Former Home Secretary Theresa May becomes Britain’s new Prime Minister, making a rapid ascent to the premiership following Mr Cameron’s resignation less than a month earlier. She pledges to “make a success” of Brexit. September-October: Negotiations are held to determine whether Mrs May can trigger Article 50 without parliamentary approval. The pound falls from €1.1579 on 30 September to €1.1044 on 11 October – a 4.6% decline in value. The High Court eventually rules that a law will need to be passed through the House of Commons and the House of Lords to authorise Article 50 – a subsequent legal challenge is later rejected. 29 March: Mrs May’s letter to Brussels triggers Article 50 of the Lisbon treaty – 279 days after the Brexit vote – formally commencing the UK’s two-year departure from the EU. The Prime Minister describes Brexit as “an historic moment from which there can be no turning back”, acknowledging that “…there will be consequences for the UK of leaving the EU”. 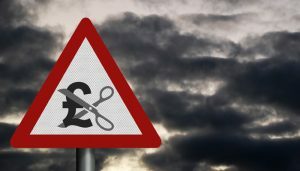 With a date for the divorce – 29 March 2019 – finally set, the pound remains under significant pressure. 7 April: Theresa May calls a snap general election for 8 June, having previously insisted she would not seek a general election before the scheduled 2020 poll. The pound rises slightly against the euro and dollar as a bullish Mrs May seeks a new mandate to implement Brexit. 8 June: Expectations within Conservative ranks of a comfortable victory soon fade, as the votes are counted. Theresa May loses her overall majority in Parliament, less than two weeks before her government is scheduled to begin Brexit negotiations. The pound’s allergy to shock political outcomes causes it to dip 2% in value upon the release of the exit poll, which reveals a hung parliament is a real possibility. 19 June: First round of formal withdrawal negotiations begins between the UK and the EU. 25 June: Theresa May strikes a deal with the Democratic Unionist Party to prop up the Conservative’s minority Government – a recipe for survival rather than stability after a disastrous general election left the Tories unable to govern alone. 13 December: MPs vote to give Parliament a legal guarantee of a vote on the final Brexit deal struck with Brussels. The government is narrowly defeated after a rebellion by 11 Tory MPs, despite arguing the vote would jeopardise its chances of delivering a smooth departure from the EU. 15 December: The European Union agrees to a joint proposal from the UK and the European Commission to move on to discussions about Britain’s future outside the bloc. Sufficient progress has been made on the opening issues to progress to this second phase of Brexit negotiations. 6-7 July: The cabinet reaches an agreement on the UK’s future relationship with the EU after Brexit. Dubbed the Chequers Deal, it includes a free trade area for goods and a new customs agreement. 9 July: Mrs may’s Brexit strategy is dealt a blow by the unexpected resignation of Brexit Secretary David Davis – the cabinet minister responsible for managing the process of leaving the EU – who believes the UK is “giving away too much and too easily” to the EU. Dominic Raab is immediately promoted from housing minister to take over from Mr Davis. The news heightens expectations of a soft Brexit, causing the pound to edge higher against the euro and dollar. 20 September: Theresa May’s strategy is comprehensively rejected by EU leaders, who send her away with an ultimatum to rewrite her Brexit plan within four weeks. Mounting fears of a no-deal Brexit scenario cause the pound to fall against the euro (€1.12) and US dollar ($1.32). 18 October: Donald Tusk, the president of the European Council, warns that “not enough progress” has been made on the Brexit deal at an EU summit in Brussels. 29 October: Chancellor Philip Hammond casts off his cautious reputation by declaring “austerity is coming to an end” during his 2018 budget speech. His spending pledges aim to reassure voters and increase the morale of Tory MPs Mrs May needs to back her Brexit deal. The pound wasn’t heartened by the news, falling to just above two-month lows against the dollar. 7th January: Lawmakers return to work from the Christmas recess on 7th January. This will be the start of several key weeks for Brexit. 9th January: Debating of the Brexit deal put forward by Theresa May is due to commence in Parliament on January 9th 2019, with a vote on the deal expected to take place before 21st January. This vote could still be delayed, in fact article 50 could be delayed or cancelled depending on the result. 15th January: The Brexit deal put forward by Theresa May will be voted on in the House of Commons. 12th March: The next meaningful vote on the revised Brexit deal is due no later than this date. The Labour Party has stated that it will put forward an amendment which would result in a second referendum, though currently it isn’t thought that there is sufficient support for this to be carried, despite the recent defection of 8 Labour MPs to the new Independant Party. 13th March: In the event that the meaningful vote results in the amended deal being rejected, MPs will have the chance to vote again; this time on whether or not the UK Government should push on with a No deal Brexit. It’s been indicated by previous votes on the same subject that this is only supported by a minority of UK MPs. 14th March: If PM May’s amended Brexit deal and the prospect of a No deal Brexit are both rejected, an extension to Article 50 will be voted on by Parliament. Agreement on the extension from the EU would then be sought if this passes. 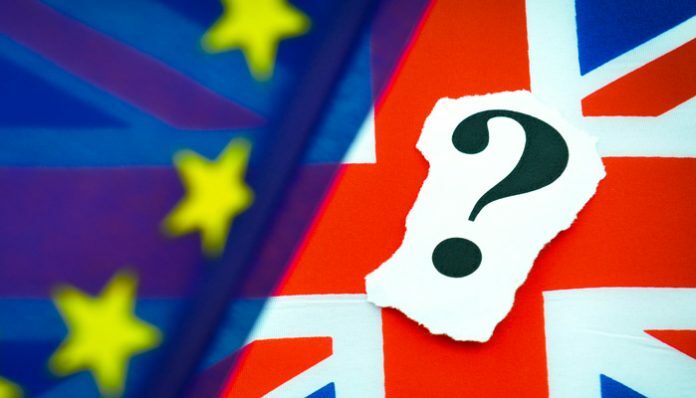 PM May has said that the extension to Article 50 should not run past the end of June, as the next European Parliamentary elections take place at the beginning of July, and the UK would have to take part in these if we are still a member of the EU by this point. 21st-22nd March: The UK Prime Minister has agreed with Jean-Claude Juncker that the negotiations between the UK and EU should be wrapped up ahead of the EU Summit. 29th March: We could see the UK formally seperate from the EU, however alternative options – an extension to the date for example – are still possibilities. Uncertainty rather than optimism has dictated the pound’s fortunes since David Cameron announced the EU referendum. 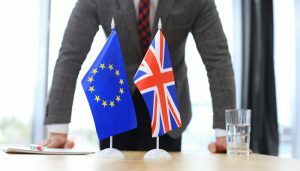 And with this trend showing no sign of abating as Brexit Day (29 March 2019) approaches, the need to protect your international payments from further fluctuations has never been greater. Fortunately, you can manage Brexit’s impact on exchange rates with help from the experts. Foreign Currency Direct specialises in helping individuals and businesses make international payments cost effectively and efficiently. The personal service you’ll receive from your account manager ensures you benefit from currency market insight and the specialist tools designed to help you manage risk, like a Forward Contract. This allows you to fix an exchange rate for up to two years, so you don’t have to worry about what will happen to the pound after Brexit.